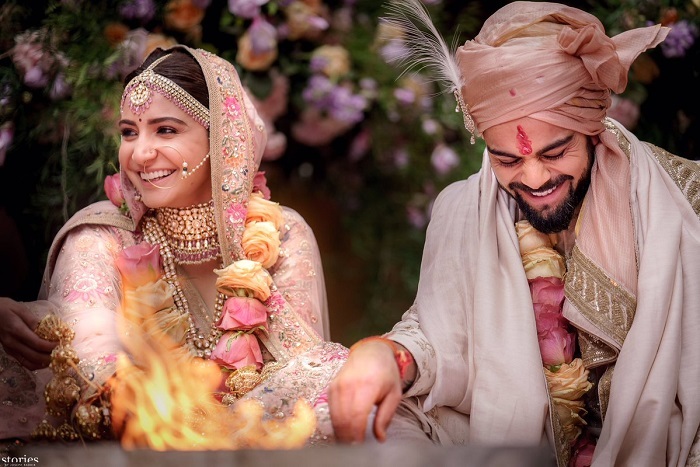 Team India skipper Virat Kohli tied the knot with Bollywood actor Anushka Sharma here on Monday, watched by family members and close friends. Today we have promised each other to be bound in love for ever, Kohli tweeted. We are truly blessed to share the news with you. This beautiful day will be made more special with the love and support of our family of fans and well wishers. Thank you for being such an important part of our journey, Kohli said.Virat and Anushka, who have been together for four years, chose the luxury heritage resort Borgo Finocchieto, a little over 100 km away from here, for their wedding.